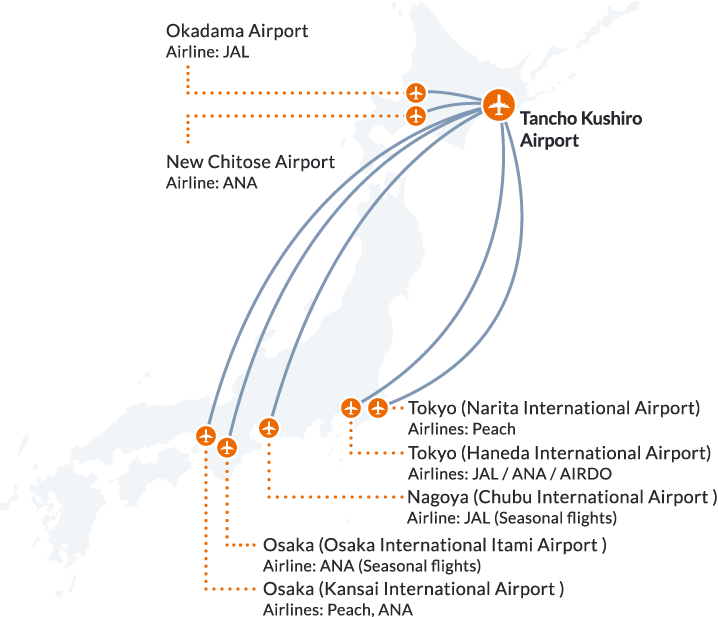 For flight details and schedules, please check the official website of the individual airline. 1. Approx. 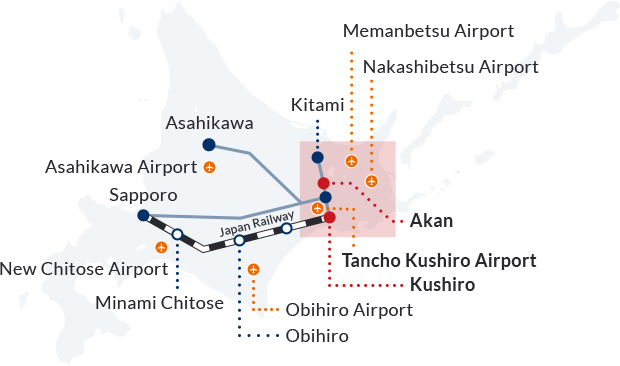 4 hours 15 minutes from JR Sapporo Station to JR Kushiro Station by JR Limited Express Super Ozora. 1. Approx. 3 hours 40 minutes from JR Abashiri Station to JR Kushiro Station on the JR Senmo Line. 1. Approx. 2 hours 45 minutes from JR Nemuro Station to JR Kushiro Station on the JR Nemuro Line (Hanasaki Line). 1. Approx. 1 hour from JR Kushiro Station to JR Shibecha Station on the JR Senmo Line. 2. Approx. 25 minutes from JR Shibecha Station to JR Mashu Station on the JR Senmo Line. 1. Approx. 50 minutes from JR Abashiri Station to JR Shiretoko Shari Station on the JR Senmo Line. 2. Approx. 1 hour 15 minutes from JR Shiretoko Shari Station to JR Mashu Station on the JR Senmo Line. 1. Approx. 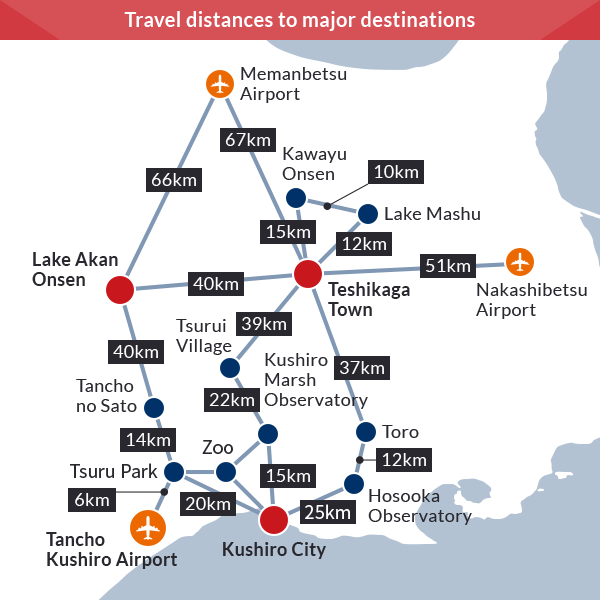 1 hour from Lake Akan Onsen to JR Mashu Station by Akan Bus (Akan Mashu Line*). * Seasonal service from Mid. of July to Mid. of October.